The 2016-2017 election cycle has officially opened for NCAL members in good standing interested in running for the NCAL Board of Governors. The NCAL elections are for three officer positions (Chair, Vice Chair, Secretary/Treasurer) and seven At-large Representatives. NCAL members interested in running for an NCAL Board position may obtain the necessary candidacy materials online. Applicants must complete and electronically submit the NCAL candidacy materials by close of business on June 6, 2016. Candidates will submit completed materials by sending an e-mail to Christy Sharp. The NCAL elections will take place during the second Council of States meeting at the AHCA/NCAL 67th Annual Convention & Expo, October 16 - 19 in Nashville, TN. Once the application phase has ended, the AHCA/NCAL Credentialing Committee will hold an in-person meeting to conduct a certification process for each candidate. Once certification occurs, NCAL will announce the slate of candidates to the membership. If you have further questions, contact Christy Sharp. This week: Stay tuned to the Electronic Staffing Data Collection page for a Frequently Asked Question (FAQ) document which includes a list of questions we have received from members. Need to get started with electronic staffing data collection? Check out our latest webinar here. For more resources, checkout our dedicated page on ahcancalED (login and registration required). In early March, the US Department of Health and Human Services (HHS), Centers for Medicare & Medicaid Services (CMS), Division of Enrollment Operations, conducted a national provider call and released new information regarding its providers and supplier Cycle 2 enrollment revalidation process. CMS has already completed its initial round of revalidations as required under the Affordable Care Act, and Cycle 2 will now resume the regular, periodic revalidations in accordance with 42 CFR Section 424.515. All providers and suppliers currently enrolled in Medicare are required to resubmit and recertify the accuracy of their enrollment information under new enrollment screening criteria every 5 years. In an effort to streamline this process, CMS has implemented a major revalidation process change, and determined that due dates for revalidations will fall on the last day of a month and will generally remain the same for subsequent revalidation cycles. These due dates are posted on a new CMS website. For more information go to https://www.cms.gov/Outreach-and-Education/Outreach/NPC/Downloads/2016-03-01-Enrollment-Presentation.pdf. Gout is one of the most common forms of arthritis, disproportionately affecting males and early menopausal females. Gout is one of the most common and painful forms of arthritis, affecting about 8.3 million Americans. A new article from the Agency for Healthcare Research and Quality (AHRQ) summarizes the benefits and risks associated with dietary and lifestyle changes as well as pharmacologic therapies. The article assesses studies that measure the accuracy and potential harms of specific diagnostic tests for gout and is available now for clinicians, policymakers, and other stakeholders. It also highlights several therapies that have moderate-to-high evidence of reducing pain in patients and recommends further validation of promising clinical diagnostic tests in primary care settings. Last week, the Department of Labor sent the final rule for Defining and Delimiting the Exemptions for Executive, Administrative, Professional, Outside Sales and Computer Employees to the Office for Management and Budget Review. This final rule will be based on the proposed rule issued last year that calls for an increase in the number of employees who will be eligible for overtime. Specifically, the proposed rule talked about setting the standard salary level at that 40th percentile of weekly earnings for full-time salaried workers. This would effectively raise the exempt salary threshold from $455 a week to $970 a week in 2016. AHCA/NCAL submitted comments opposing this proposed rule stating that there is limited opportunity for long term/post-acute care providers to increase their prices in order to meet the requirements of these proposed changes. AHCA/NCAL will continue monitoring and updating members on the final rule which is expected to be published in 30-60 days. At this point, it is unclear how much influence the 200,000 comments submitted on the proposed rule will have on the final rule. Questions regarding this can be directed to Urvi Patel (upatel@ahca.org) or Lindsay Schwartz (lschwartz@ncal.org). TMF Health Quality Institute, the Program for Evaluating Payment Patterns Electronic Report (PEPPER) contractor for the Centers for Medicare & Medicaid Services (CMS), has announced a free Webinar on Thursday, May 12, 2016, at 2:00 PM Central, focusing on the changes in the Q4FY15 PEPPERs for Skilled Nursing Facilities (SNFs), Long Term (LT) Acute Care Hospitals and Inpatient Rehabilitation Facilities (IRFs). Registration is not required. To participate, simply click this link to join the event, at least 15 minutes prior to the event start time. The event number is 927 948 162 and the password is rosemary. Individuals are encouraged to listen to the audio portion of the webinar through the on-line broadcast platform using their computer speakers. However, is there are audio problems, you can connect via telephone by dialing 415-655-0003, access code 927 948.
PEPPER provides provider-specific Medicare data statistics for discharges/services vulnerable to improper payments. PEPPER can support a facility’s compliance efforts by identifying where it is an outlier for these risk areas. This data can help identify both potential overpayments, as well as potential underpayments. To obtain more information go to https://www.pepperresources.org/. On May 18th at 2 PM – 3 PM Eastern Time, Brenda Richardson, MA, RDN, LD, CD, FAND, will present a webinar entitled, “Nutrition and Person-Centered Care for Successful Quality Outcomes.” In today’s long-term care environment food, nutrition and dining are key aspects of providing “person-centered care”. Person-centered care will not only improve Quality Measures but can also improve customer satisfaction, regulatory compliance, QAPI and overall financial operations of the nursing facility. This webinar explores key aspects of “person-centered care” for food, nutrition, and dining with practical recommendations for successful implementation. · Describe nutrition interventions to improve Quality Measures. You can register now for this webinar event here. On March 16, 2016 the IRS released a health care tax tip entitled, “Six Things to Know about the Employer Shared Responsibility Provisions.” The article states that the “health care law includes the employer shared responsibility provisions, which require applicable large employers to offer health coverage to full-time employees and their dependents. Those that do not offer coverage might be subject to the employer shared responsibility payment.” It goes on to note six facts about these provisions. To read the full article and the six facts, please click here. In addition, more information about the health care law can be found on the AHCA/NCAL website. All senior living providers are asked to help support the State of Seniors Housing report as it conducts its annual research on the profession. The deadline for completion of the 2016 State of Seniors Housing survey has been extended to Monday, April 18. Please download the Excel file to complete the survey. The State of Seniors Housing is a collaborative research project supported by NCAL, along with the American Seniors Housing Association, National Investment Center for Seniors Housing & Care, Argentum, LeadingAge. The report summarizes data collected among independent living communities, assisted living communities, nursing facilities and continuing care retirement communities. The report contains all pertinent financial and performance measures including: resident turnover and length of stay, annual financial results per occupied unit, staffing ratios and labor costs, other key cost items, key financial performance indicators and more. A must-have resource for owners, operators, lenders, investors and other professionals interested in the market-rate seniors housing business. Completed surveys should be submitted to Colleen Blumenthal of HealthTrust, colleen.blumenthal@healthtrust.com by close of business on April 18. Questions about the survey should also be directed to Blumenthal at (941) 363-7502 or via email. Last year, nearly 1,800 senior housing properties participated in the survey – one of the largest response sets in the report’s more than 20-year history. To purchase the 2015 State of Senior Housing Report, please visit the ASHA website. 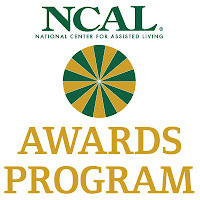 In May, AHCA broadened its Quality Initiative to further improve the lives of those we care for in skilled nursing care centers across the country. The Initiative challenges member organizations to apply a systematic approach to meet measurable targets in eight areas with a focus on three important priorities: improvements in organizational success, short-stay/post-acute care, and long-term/dementia care. Members who work to achieve these goals now will be better prepared for federal mandates, such as the submission of staffing data in July, upcoming Five-Star changes, the Improving Medicare Post-Acute Care Transformation (IMPACT) Act, and the Skilled Nursing Facility (SNF) Value-Based Purchasing (VBP) Program. In February, a significant milestone was achieved in one of the eight goals. AHCA announced that its skilled nursing center members had lowered antipsychotic usage by nearly 30 percent nationwide. According to data from the Centers for Medicare & Medicaid Services (CMS), 16.7 percent of residents in member centers were receiving an antipsychotic medication in the third quarter of 2015 compared with 23.6 percent in the fourth quarter of 2011 — a 29.2 percent decrease. This achievement represents a faster rate of reduction and a lower rate of usage than non-member skilled nursing centers, which currently show a 27 percent decrease and 17.4 percent usage rate. At that time, 48.9 percent had achieved the goal of a 30 percent reduction ahead of the target of Dec 2016*. Progress: As of March 2016*, 5.3% of members have achieved a nursing turnover rate at or below 40%. Note: At this time, progress can only be measured by the number of members who submit their staffing data in LTC Trend Tracker sm, a free, members-only online tool. Members are encouraged to submit their data today. In July, skilled nursing centers will be required to submit their staffing data to CMS, which will eventually provide a national data source for all nursing centers and reported in Five-Star in 2018. Members who submit their data in LTC Trend Tracker sm now will have a better sense of how they are doing compared to their counterparts well ahead of CMS reporting turnover and retention. That information will allow members to set goals to improve. For more information on how to upload turnover and retention data or for frequently asked questions click here and here. Or contact help@ltctrendtracker.com for assistance. Progress: As of March 2016*, 5.6% of members have achieved this goal. Note: AHCA and NCAL can only measure progress by the number of members who upload their CoreQ results in LTC Trend Tracker sm. The CoreQ — consisting of three questions for long-stay residents/family members and four for short-stay — has been independently tested as a valid and reliable measure of customer satisfaction. Most satisfaction vendors have agreed to add the CoreQ to their questionnaires. Members are encouraged to submit their results today or have their vendor submit on their behalf. 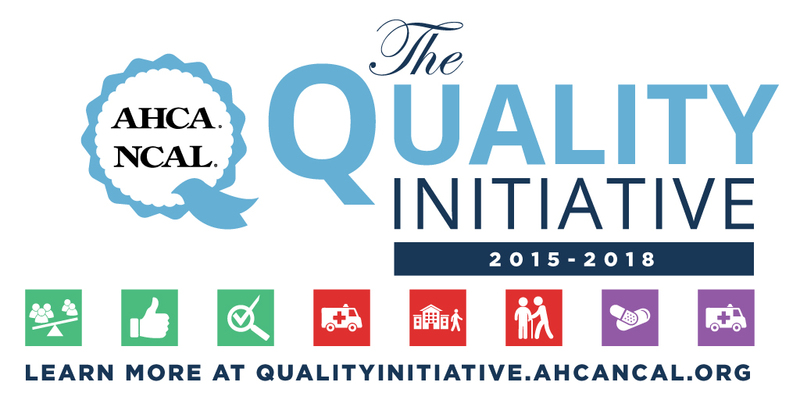 To learn more, visit the AHCA or NCAL Quality Initiative websites. For instructions on how to upload results click here or contact help@ltctrendtracker.com for assistance. Goal: Reducing the Number of Unintended Health Care Outcomes by March 2018. Progress: This measure is under development and should be completed by December 2016 at which time a specific target reduction will be set. Members are encouraged to visit the Unintended Health Care Outcomes page here for resources and tools to improve in this area. Goal: Safely reduce the number of hospital readmissions within 30 days during a skilled nursing center stay by an additional 15% or achieve and maintain a low rate of 10% by March 2018. Progress: As of Q2 2015*, 18.5% of members centers have achieved a 30% reduction in hospital readmissions or achieved a rehospitalization rate below 10%. For more data and resources, click here. Note: Members are encouraged to run their Hospitalization Rate report in LTC Trend Tracker sm to see if they are above or below the national average. This this will give centers a sense of how they are doing in preparation for the addition of this measure to Nursing Home Compare in April and to Five-Star in July. Set a goal to perform at least two-three points better than the average. Contact help@ltctrendtracker.com if you need any assistance. In addition, start counting and tracking the number of patients who are experiencing rehospitalizations by using Advancing Excellence’s free tracking tool. Goal: Improve discharge back to the community by 10% or achieve and maintain a high rate of at least 70% by March 2018. Progress: As of Q1 2015*, 20.7% of AHCA members have improved their baseline rate by 10% or achieved a 70% rate of safe discharges back to the community. Note: Members are encouraged to run their Discharge to Community report in LTC Trend Tracker sm to see if they are above or below the national average. This this will give centers a sense of how they are doing in preparation for the addition of this measure to Nursing Home Compare in April and to Five-Star in July. Set a goal to perform at least two-three points better than the average. Contact help@ltctrendtracker.com if you need any assistance. In addition, start counting and tracking the number of discharges to the community by using Advancing Excellence’s free tracking tool. Goal: 25% of AHCA members will adopt the use of the mobility and self-care sections of the CARE tool and report functional outcome measures using LTC Trend Tracker sm. Progress: This measure requires information from Section GG on the MDS which will be added in October 2016. Thus, data should be available in 2017. Goal: Safely reduce the off label use of antipsychotics in long-stay nursing center residents by a total of 30% by Dec. 2016. Progress: According to data from CMS as of Q3 2015*, 48.9% of AHCA members have achieved the goal of a 30% reduction. For more data and resources, click here. Goal: Safely reduce hospitalizations among long-stay residents by 15% or achieve/ maintain a low rate of 10% or less by March 2018. Progress: A risk-adjusted MDS based measure developed by PointRight and AHCA will be used. Results will be made available in LTC Trend Tracker sm in 2016. For information and resources, click here. As of July 17, 2015, 12 states submitted State Plan Amendments (SPA) to implement the CFC benefit, 3 of which subsequently withdrew, 7 were approved, and 2 were under review. Both states that either adopted CFC and those that actively considered and did not adopt CFC discussed the need for and complexity of maintaining existing HCBS programs alongside the CFC as part of their analysis when considering this new benefit. The majority of individuals served by CFC are adults and children under the age of 65, although a sizable minority were elderly. In particular in California and Maryland, they tend to be older (over 65)—with 20 to 25 percent over 85—in contrast to a lower proportion of seniors served through CFC in Oregon and Montana. Primary reasons for implementing the CFC benefit include: the elimination or reduction of waitlists for HCBS; the expansion of HCBS access for populations that were excluded from or underserved in the State Plan Personal Care benefit and HCBS waivers; the expansion of HCBS service options; and the enhanced federal spending match. Success in achieving positive resident and patient outcomes is even more critical now than ever before. The link between quality and payment in long term and post-acute care is growing stronger, as evidenced by the SNF Value Based Purchasing (VBP) Program, the Improving Post-Acute Care Transformation (IMPACT) Act, the SNF Quality Reporting Program (QRP) and more. The AHCA Clinical Practice Committee created: Building Prevention into Every Day Practice: Framework for Successful Clinical Outcomes. This Framework highlights key elements that are critical to successful organizational and clinical outcomes. These elements reflect common denominators that cross multiple care situations including reducing unintended health care outcomes, rehospitalizations, antipsychotic medication use, improving discharge to the community, functional status and more. Applying this framework into practice can help build and strengthen a foundation for improved resident and patient outcomes in addition to more efficient use of staff, time, and resources. Supplemental materials to support applying the framework into every day practice are available including video vignettes, worksheets, conversation starters with key takeaways, and checklists for you and your organization to use. Embark on the journey through the Framework today! 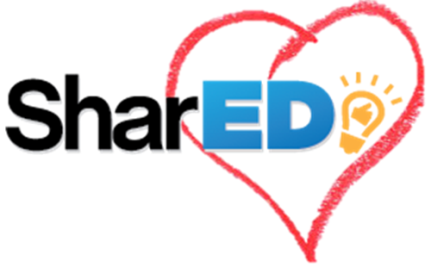 We are pleased to announce our first sharED-“Share the Love” Competition. “sharED” is the section of ahcancalEd where providers can share a resource with the ahcancalED community. Have you created a handy tracking tool, a fabulous in-service training, a worksheet that helps CNAs remember a certain skill or protocol in the moment? Why not share it with others so the whole nation can benefit from your brilliance! Challengers can go to this link, fill out a short form that describes the tool or resource and submit it to educate@ahca.org. The judging committee will select five winners. Winners will receive a special ahcancalED prize. Deadline March 31 at 9PM EST. The value of the Long Term Care Career Center keeps growing. Employers who utilize the site now get increased exposure through rotating job listings on AHCA’s home page – the web site where long term care professionals go for news and information. In addition, employers who post vacancies through the center receive bonus rotating listings on the Long Term Care Career Center home page. The Long Term Care Career Center is the premier site for those interested in the long term and post-acute care positions. Rates for posting job vacancies are affordable and give prospective employers far greater exposure than local ads and job boards by connecting to a network of more than 300 health care organizations and societies. Employers are also able to post vacancies as they occur and search resumes on the network. If you want to reach talented health care professionals, check out the LTC Career Center today. 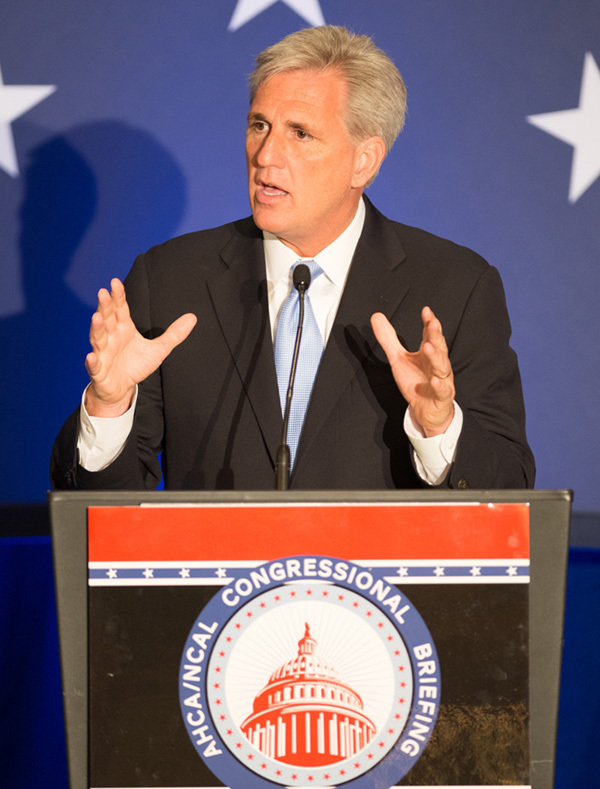 Majority Leader Kevin McCarthy (R-Calif.) will address hundreds of long term and post-acute care advocates at the 2016 American Health Care Association/National Center for Assisted Living Congressional Briefing on May 24. The Capitol Hill address from the Majority Leader will coincide with AHCA/NCAL advocates meeting with their Members of Congress on important issues affecting Medicare and Medicaid reimbursement. McCarthy last spoke at the AHCA/NCAL Congressional Briefing in 2013 as then-Majority Whip. McCarthy has since risen in the ranks to the number-two spot among House Republicans in what is one of the quickest ascensions to the position in the modern Congress. Surprising circumstances led McCarthy to his current role. Former Majority Leader Eric Cantor lost a primary race during the 2014 election cycle and resigned his leadership position immediately. McCarthy then filled the empty leadership position. McCarthy, 50, was originally elected in 2006 and appointed to the role of chief deputy whip for the party after just one term. When the Republicans regained control of the House in 2011, McCarthy was elected Majority Whip after then-Whip Eric Cantor ascended to Majority Leader. McCarthy was born and raised in Bakersfield, California, a city that remains a part of his current district. He is known for being one of the most media-savvy Members of Congress and boasts a highly active Instagram account. The Joe Warner Patient Advocacy Award Winners have been selected, and this year's winners are Richard Herrick, President & CEO of the New York State Health Facilities Association, Inc. (NYSHFA) and the New York State Center for Assisted Living (NYSCAL), and Robert J. Hillis, Chairman, CEO, and Founder of Direct Supply, Inc. They will be honored at the ceremony and reception at Congressional Briefing on the evening of May 23. Learn about all the exciting guests and events taking place at Congressional Briefing and register today. Rooms fill fast in the springtime as D.C. is a popular destination. Make your hotel reservations today and register for Congressional Briefing. See the compete agenda at cb.ahcancal.org. A companion revised Special Edition MLN Matters Article on Prohibition on Balance Billing Dually Eligible Individuals Enrolled in the QMB Program is also available. This document includes important clarifications concerning Qualified Medicare Beneficiary (QMB) balance billing rules and ways to improve processes related to QMB individuals. Winners are recognized during NCAL Day held at the 67th AHCA/NCAL’s Annual Convention & Expo October 16-19, 2016 in Nashville, TN. American Health Care Association (AHCA) and National Center for Assisted Living (NCAL) members in good standing may submit an application for the 2016-17 elections for the AHCA Board of Governors and the NCAL Board of Directors. This webinar will explain the application, credentialing and campaign process. It is perfect for those interested in running this year or in future years. Understand what the AHCA/NCAL Board applications require. Learn about the credentialing and campaign process. Identify what is required of AHCA/NCAL Board members. On March 15, 2016, the Medicare Payment Advisory Commission (MedPAC) released its annual March Report to Congress: Medicare Payment Policy. The report includes MedPAC's analyses of payment adequacy in fee-for-service (FFS) Medicare, as well as a review of the Medicare Advantage (MA) Plans and the Medicare prescription drug benefit. The fact sheet is available here. MedPAC makes payment system recommendations to Congress in this annual report, which may or may not be acted upon. The March 2016 report SNF recommendation language is identical to the December 2015 draft recommendation presented to the Commission and would essentially have the same impact on SNFs as past year recommendations. MedPAC reports that in 2014, the average Medicare margin was 12.5 percent. It notes, "[m]argins continued to vary greatly across facilities and reflect shortcomings in the SNF prospective payment system (PPS), the resulting favorable selection of rehabilitation patients (over medically complex patients), differences in costs per day, and cost control exhibited by some providers." In terms of non-Medicare margin (private pay and Medicaid), MedPAC points to a negative 1.5 percent margin in 2014 but points out this is a slight improvement over 2013. As discussed in its December 2015 meeting, MedPAC recommends that "Congress should eliminate the market basket update for 2017 and 2018 and direct the Secretary to revise the [PPS] for skilled nursing facilities. In 2019, the Secretary should report to the Congress on the effects of the reformed PPS and make any additional adjustments to payments needed to more closely align payments with costs." AHCA/NCAL respects MedPAC's role in advising the Congress on Medicare payment policy but disagrees with MedPAC's payment recommendation. We believe that the Commission's margin methodology should be modernized to account for the decrease of Medicare and Medicaid FFS bed days and the increasing number of days attributed to managed care and alternative payment methods. Because it has not accounted for the declining number of FFS days, AHCA/NCAL believes the Medicare margin and related profit margin data points are overstated. While MedPAC's margin analysis includes "non-Medicare" payers (e.g., commercial payers and Medicaid), the Commission does not account for the decreasing proportion of overall revenue attributed to Medicare and Medicaid FFS. 1. MedPAC only notes a growing number of Medicare beneficiaries enrolled in MA plans, which in general pay less than Medicare FFS rates. The Commission draws conclusions on MA rates from a handful of publicly traded companies, which is not representative of the skilled nursing sector. It does not account for Bundled Payment for Care Improvement demos, reduced payments tied to difficult to secure quality-related payments from Accountable Care Organizations, or the potential impacts of Comprehensive Care for Joint Replacement demonstration sites. 2. MedPAC indicates that Medicaid rates present less of a shortfall than in past. Again, MedPAC bases this analysis on Medicaid FFS data and does not account for the rapid expansion of Medicaid managed care for long term care. In 2016, CMS-commissioned research indicates that 31 states will have - or will be implementing - Medicaid managed care, which will include nursing center care. In most Medicaid managed care arrangements, providers are paid less their Medicaid FFS rates. AHCA/NCAL will be communicating ideas to MedPAC for modernizing its approach to accounting for the decline in the proportion of FFS payments and increasing numbers of days covered by managed care and alterative payment methodologies. If you have questions, suggestions or concerns, please feel free to contact Mike Cheek. More than 1,000 AHCA members are now using ahcancalED to gain valuable information, learn new concepts, find a useful tool or resource or take a minute to flip through Provider Magazine. That’s right! All of this can be found within ahcancalED, AHCA’s new learning management system and a free member benefit designed for learning, inspiring and sharing. Newly featured in ahcancalED is a complete series to assist you with the recently announced changes to Five-Star. The series contains an array of resources to apprise you of the changes along with a video briefing from Mark Parkinson, Dr. David Gifford and Mary Ousley, along with handouts and tools to implement within your setting. The module is called Five-Star: What You Need to Know. It has already climbed to the top of the most accessed resources for this week. Another great product created by AHCA’s Quality Improvement Committee is Driving Quality by Operationalizing Business Systems: A Call to Action. Don’t let the long name keep you from visiting this fabulous resource! This team of experts responded to the challenge of creating a resource that centers could use to understand and teach QAPI. The series walks you through QAPI, shows the connection to Baldrige, and has a wide array of tools. It even teaches teams how to have a meeting ala QAPI! There are tracking tools and great case studies including one that shows how an ambitious center saved over $500K following the process. We are pleased to announce our first “Share the Love” Competition. “sharED” is the section of ahcancalEd where providers can share a resource with the ahcancalED community. Have you created a handy tracking tool, a fabulous in-service training, a worksheet that helps CNAs remember a certain skill or protocol in the moment? Why not share it with others so the whole nation can benefit from your brilliance! Challengers can go to this link, fill out a short form that describes the tool or resource and submit it to educate@ahca.org . The judging committee will select five winners. Winners will receive a special ahcancalED prize. The deadline is March 31 at 9PM EST. The House Energy and Commerce Committee voted Tuesday to advance a resolution which cuts the rate that so-called “provider assessments” are allowed to fund Medicaid. The “Common Sense Savings Act of 2016” is a budget-minded measure supported by Republican leadership that passed on a party-line 28-19 vote in the full committee. The package contains $25 billion in health cuts and is seen as an attempt to garner conservative support for a larger GOP budget. During the markup, an amendment was offered by Rep. Lois Capps (D-Calif.) to strike the section of the bill that cut provider assessments. The amendment garnered the support of all Democrats on the committee as well as Reps. Larry Buschon and Susan Brooks, both Republicans from Indiana. “It cuts a lifeline for millions that is already underfunded — the Medicaid program,” Porter continued. The package will inform upcoming House budget negotiations as Republican leadership continues seek agreement within their caucus on an official budget recommendation. The Senate has indicated it currently has no plans to pursue a budget in 2016.